Forrest has Sensational boxing, Sensational Muay Thai, Elite wrestling and holds a black belt in Brazilian Jiu Jitsu. Quote: "Martial arts is like a mountain. You see the top. And you hike and you climb, and you finally reach the peak, and you realize it was a false summit, and in front of you lies an entire new mountain range." 2019-04-19- received 160q Reduce energy loss from manager. 2019-03-19- received Pro Series - White (Black) from manager. 2019-03-19- received Shorts Pro Series - White (Black) from manager. 2019-02-27- received Venum Fire Short from manager. 2019-02-27- received Venum White T-Shirt from manager. 2019-02-15- Forrest Worthington celebrated his birthday - 36 today! 2018-11-22- Forrest Worthington celebrated his birthday - 35 today! 2018-11-11- received Shorts Pro Series - Black (White) from manager. 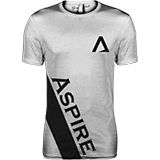 2018-11-11- received Aspire - Rashguard from manager. 2018-09-07- received Kimura Logo Shorts from manager.